My birthday is coming up in a month(April 21). And been planning for awhile what will be a good giveaway to all of my followers and readers to thank you for supporting me with my blog for the past years now. So excited to have my first ever BIRTHDAY GIVEAWAY in collaboration with PHOTOJEEPNEY. 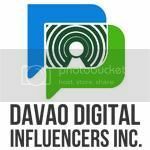 PHOTOJEEPNEY is the coolest online photo center that gives your pictures a wonderful DIY design and styles which makes your photo a priceless piece. With many photo ideas to choose from caricature, photo montage, instafects, Facebook covers and more. I've made my transaction with them and I choose caricature for my daughters graduation. I love it! My daughter love it too! So cute and very personal gift indeed. I've decided to have a BIRTHDAY GIVEAWAY with this amazing photo idea from PhotoJeepney. They will give 5 coupon codes each for 5 LUCKY WINNERS. 3 coupon codes are open for Philippines Residents only and 2 coupon codes will be open to International Followers only. You need to be a follower of this blog and at least 18+ years old or have a permission from Parent or Guardian to enter my giveaway. I will be monitoring all entries to keep this a fair Giveaway. The Giveaway will start on March 21, 12am and end on my birth date April 21, 12am. And winners will be drawn then and notified by email. Good luck on your giveaway. I love the output of their product. Congratulations on your first blog giveaway! Hope to win! Nice, congrats to your first blog giveaway, Pal! 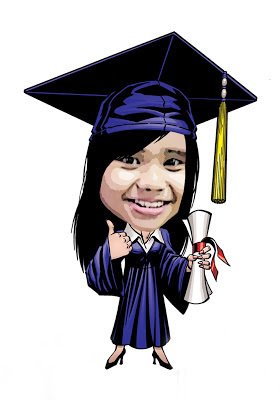 I agree to you on PhotoJeepney's caricature, very cool! Great way to celebrate bdays .... give instead of receive. Kudos! Congrats to your first birthday giveaway! I am seeing a lot of this photojeepney nowadays. It looks fun as a a memorabilia. :) Hey, advanced happy birthday! Congratulations to the winner and happy birthday to you. I like the caricature for my family picture. wow, Wanna try this one also. .and happy birthday as well. .
Hehehehehe....love to have one also Sarah. Thanks for joining sis. Just joined in! I want the Caricature (digital file) and Montage (Combo D). This is a great idea... and I like the caricature! ;) Advance Happy Birthday Raine! Back Again, Photojeepney is really making waves. Love their product. Yes sis, very soon. Hehehehehe.. I hope they have more styles to choose from...kids love it...but in social media I prefer to see actual image rather than in animated one. There are more styles to choose from Earl Pablo..not only caricature but many many more...just visit their website. Ola, sis!! I joined! Weeee!! Advance Happy Birdie, my friend!! I lie the caricature .I am an International star, if I win just message me at FB. Great way to celebrate bdays. Thanks 4T(Tribute To The Tribe). I would have so much fun with this!! So glad to have found this blog!! WOOT WOOT!! Thanks dear Tara. Happy to have you here too. My Birthday giveaway has ended and stated above are the winners. Congrats and wait for your code. Thanks everyone for joining. God bless all. Check your email now Riyalyn. Thanks.